First up is probably one of the most anticipated films of the year among the crying, fangirling teenagers of the UK. I've never read the book, so I didn't have the original deep connection with Augustus and Hazel, the two main characters who are either suffering from cancer or who have previously had it - yup I'm choosing my words very carefully to avoid telling you the whole story (!) I thought the film was good, thought provoking and the scenery was beautiful, especially when they were filming in Amsterdam. The ending, though sad, showed that films don't have to have a happy ending to be inspiring. I didn't cry (promise) but I learnt lots from a movie which filled an afternoon and I'm happy I went to see it. My little sister saw it twice in three days, which shows how well it is made. X Men.... ahhh. As I said above, the franchise is one that I have no interest at all in, and I was expecting to hate the film. Many critics have said in the papers that you needed to have seen the other films to even attempt to understand this one, but I got through it knowing exactly what was going on being a complete novice, which completely suprised me. The story, centered around the original characters from X Men going back in time to change what their younger selves had done in order to save their kind is far from predictable and is one that I found myself really 'getting in to' in need for a better word. For me, the movie was saved by Jennifer Laurence, but that's because I think she's fab and she was covered in blue paint. Dedication? I think so. 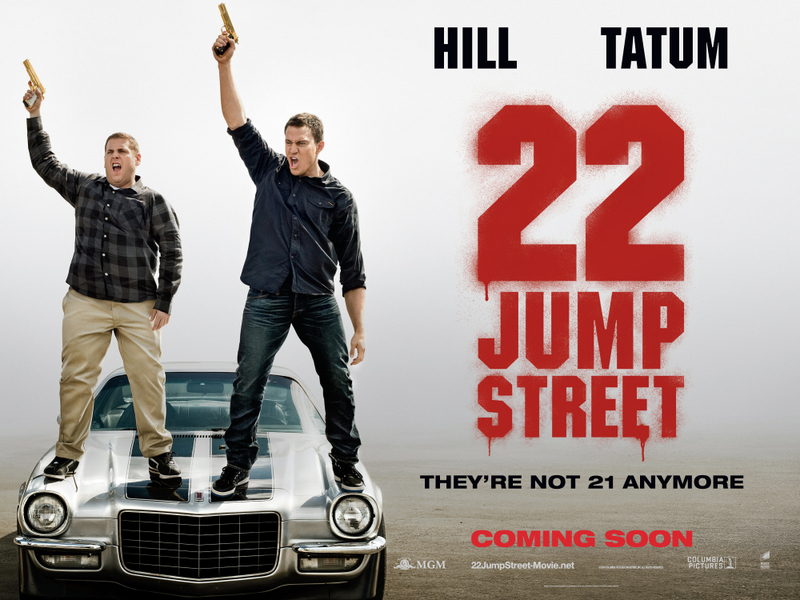 Just so you know, in true Olivia style, I have never seen 21 Jump Street. Call me stupid, but I've only just found out that films are actually very good when you take the time to sit down and watch them and trips to the cinema are pretty enjoyable. 22 Jump Street is another one of those films I'm glad I watched, if it isn't for an hour and half of Channing Tatum, it's for the laugh a minute jokes and the underlying message of something that happens in every college in the world. The best bit for me happened in the first ten minutes, where Schmidt is jumped on by an octopus. It gets me every time. The two hopeless policemen may fall out, but if the credits are anything to go by, I may be watching them in 34 Jump Street, with the return of the ghosts and 2121 Jump Street where they're sent into space. Yay. Maleficent was a film I'd been looking forward to for months, ever since Frozen I'd been looking for a Disney film to fill my magic induced heart and I thought I'd finally found it. It was a good film, I admit that, but it left me feeling rather flat. 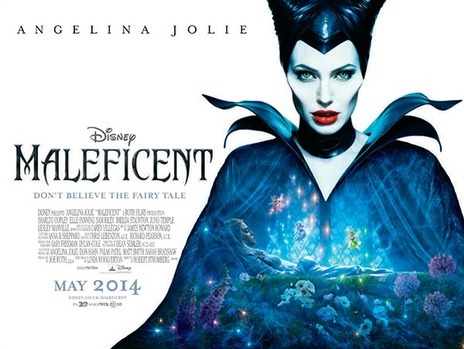 Without Angelina Jolie and the Disney name behind it, the film would have been nothing special and special is what I expected from such a hyped up film. The set was one of the most beautiful things I'd seen in my life, but there were no twists and turns which bearing in mind it is an adaptation of one of the best Disney princess films around, I thought there would be. If you have a free afternoon with nothing to do, give this a watch but I wouldn't reccomend waiting in anticipation for the movie to come out on DVD. Sorry Walt! Have you seen any of the films featured? Me and my sister Eve (pictured) took a trip into the historical city of York yesterday, amid claims that it was going to chuck it down with rain. Prepared with our umbrellas and an action plan which included Subway and Starbucks, we ran from the train station expecting to be hit with a torrent of water. Except it didn't happen. Funnily enough, the sun was out and stayed out all day, leaving both of us happy we decided to pack our sunglasses at the last minute. I absolutely adore York, I love the architecture, I love the shopping, I love the people. It's the first time either of us have ever dared to take outfit pictures in the middle of the street, and I found the experience rather liberating, nobody actually cared that we were doing it and we just looked like stereotypical tourists rather than the weird bloggers we actually are. While we were taking these photos the area around us was buzzing with people, it turns out we were stood slap bang in the middle of an inauguration for the new Anglican bishop of Leeds, which was rather fab because neither of us had ever seen so many important religious people before and it made me smile. If you like seeing pictures of the prettier of the pair of sisters (yup) my sister and I have a big project planned which involves much more of her and I can't wait for the date when we can reveal what is going on. Lets just say that she's got a very different idea of life to me and I think that's going to show on our new project. Have you ever been to York and visited the Minster? Even though I own an IPhone, am studying an computing related course at A level and have written and designed websites since the age of nine, I don't think of myself as somebody who could ever be classed as 'technologically advanced.' I still cannot use 99 percent of the functions the IPhone famously owns, I had to Google how to turn my new computer off, and my preferred music streamer is Windows Media Player rather than fancy Spotify or ITunes. However, I find this makes me appreciate the little things held in the applications we over consume on a daily basis. Here's four apps which I've recently downloaded with little reviews beside them, hopefully they help you in your quest for the perfect phone application list. Some may be simple and rather embarrassing, but they all help me to stay on track and make me smile countless times a day. No Crop is good, I admit it. Although the name makes it sound like there is little to it bar a white border to be used on Instagram, since the recent update No Crop is a multi functional app which I now use on a daily basis. Including a brightness, tone and transparency setting along with shapes and text editing features, No Crop deserves a high rating. The only letdown is the huge amount of adverts which litters the app at every turn, but with a few selective clicks you can avoid being transported to a buying page for Clash of the Titans. Well, most of the time anyway. 8/10. I recently bought a shed load of jewellery from Sister Vintage, an independent Scottish business run by a lovely girl called Sara. I know nearly everybody say's this during store reviews, but her products really are ridiculously good value for money. Every item she sells is less than five pounds which means you barely have to break into a note to buy something lovely! That is if you don't still use the pound notes from the Monopoly games... yup I went there. Along with the products above, I managed to pick up a couple of goodies for my sister Eve's birthday, which I can't reveal until next week, but what I can assure you is that they're fab! I've been wearing the blue triangle necklace constantly this week as it goes with absolutely everything, especially during the summer when block colours are my best friend. Along with the necklace, I picked up a scrabble ring for just 25p (!) which gives my outfits a kooky edge and reminds me of the Pixie Lott obsessed days where my internet history consisted of 'steal her style' pages and early fashion tumblr accounts, and then I had a long camera necklace pop through my letter box which looks absolutely amazing on, it's just the right length so it doesn't get in the way - does anyone know how annoying it is to flick a long necklace off the table when you sit down for exams!? View Sister Vintage here.